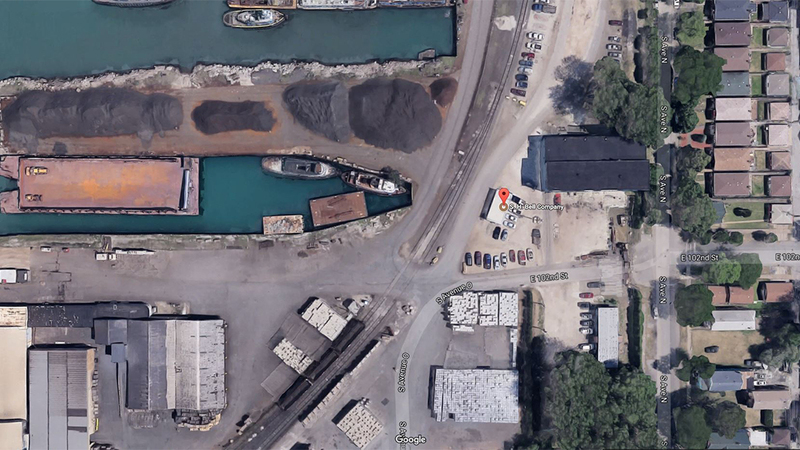 Soil samples have been collected from more than 100 properties on Chicago’s Southeast Side as the U.S. Environmental Protection Agency continues to assess the threat posed by brain-damaging manganese emitted from nearby industrial sites. 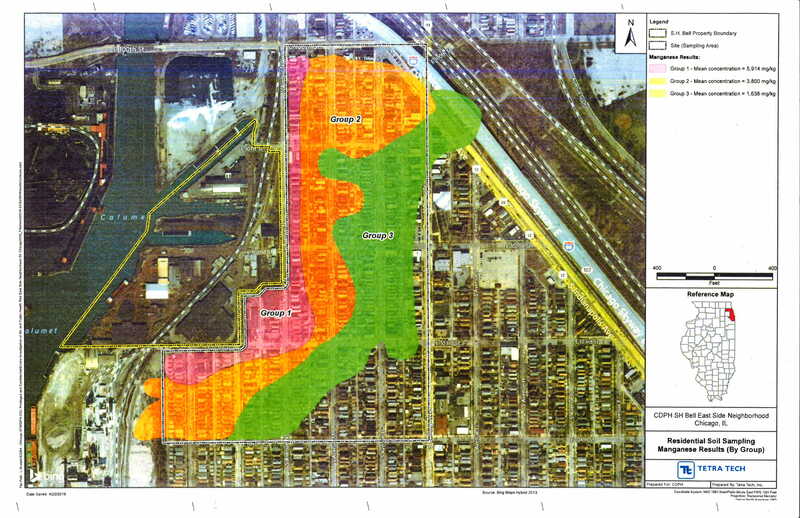 In an update posted on the agency’s website, the EPA said it will “conduct additional assessment activities in the area through October … to evaluate potential sources and the extent of soil contamination.” The sampling area is bordered by the Calumet River to the west, 100th Street to the north, South Ewing Avenue to the east and 104th Street to the south. The EPA said it is mailing soil test results to property owners as they become available, and that it expects to have all results mailed by the end of the year. Based on results from its tests, the agency could decide to dig up and replace soil in highly contaminated yards. The EPA began collecting soil samples in May after testing conducted by Chicago’s Department of Public Health revealed high concentrations of manganese throughout the area. Of 27 properties tested by the city, 20 showed manganese levels higher than a screening level of 1,600 parts per million used by the Illinois EPA to assess health risks. Samples from three properties indicated levels in excess of the U.S. EPA’s emergency removal threshold for manganese, which is 5,500 parts per million. The most contaminated sample measured at 13,000 parts per million, more than double the EPA’s emergency removal threshold, according to the city. An essential part of the steelmaking process, manganese is a heavy metal that can cause Parkinson’s-like symptoms at high exposures. The metal is handled by at least four companies that operate in the area, including S.H. Bell Co., which the EPA cited last year with violations of the Clean Air Act for releasing high levels of manganese dust into the surrounding neighborhood. The Pittsburgh-based company was required to install air monitors at its Chicago facility as part of a settlement reached with the EPA over previous Clean Air Act violations. In its most recent update, the EPA said that since it cited S.H. Bell last August, average manganese concentrations at the company’s Chicago facility have dropped to 0.089 micrograms per cubic meter, which is below the federal limit of 0.3 micrograms per cubic meter. In a statement, S.H. Bell said: “The EPA has not informed us of its soil sampling plans or any results so we cannot comment on that at this time. In a recent report provided to the EPA and Chicago Department of Public Health, Gradient Corp., an environmental and risk sciences firm, determined that there is absolutely no health risk associated with the manganese levels in soil samples analyzed for CDPH earlier this year. The EPA also said it is working with the city of Chicago and the federal Agency for Toxic Substances and Disease Registry to determine if homes near S.H. Bell have elevated levels of lead, in addition to manganese, in the soil. As results come in and are mailed to homeowners, residents will also be contacted by the EPA’s community involvement coordinator to explain the results and how to protect their families from potential lead and manganese contamination, according to the agency. The consultations are offered in English and Spanish. The EPA said it will also develop a community involvement plan to formulate additional outreach and informational activities in the coming months.